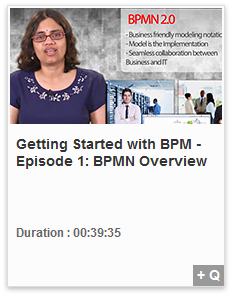 Meera Srinivasan, Director of Product Management for Oracle Business Process Management Suite, explains how Oracle BPM Suite uses BPMN models for process design and analysis. She then describes the four major groups of BPMN constructs: activities, gateways, events, and subprocesses. Meera Srinivasan describes the main features of the two Oracle BPM modeling tools—Oracle BPM Composer and Oracle BPM Studio—in their 11g PS6 (11.1.17) releases. Then she highlights the significant changes in the new 12c (2.1.1.3) releases of each tool. Looking for other training/certification resources from Oracle University? Click here. The latest OTN ArchBeat Podcast is a three-part series that looks at the evolution and adoption of Adaptive Case Management through the insight of a panel of experts. Listen to Part 1: The panel discusses the basics of ACM and how it relates to Business Process Management. Listen to Part 2: A discussion of the forces that are driving the evolution in Adaptive Case Management. Listen to Part 3: What business domains are driving the adoption of Adaptive Case Management? What are some of the common missteps in that adoption? You pick the topic. You pick the panelists. It’s your chance to be a guest host/producer for an OTN ArchBeat podcast. Click here for more information. Click here to subscribe to the OTN ArchBeat Podcast. A podcast featuring Oracle ACE Directors Lonneke Dikmans, Simon Haslam, and Ronald van Luttikhuizen in a discussion about strategies for simplifyng SOA implementation. The OTN ArchBeat Podcast kicks off the new year with a conversation with three highly experienced SOA experts about strategies for dealing with some of the problems that can thwart SOA efforts within some organizations. One of those strategies involves a new collaborative venture that promises to remove many of the technical hurdles on the path to SOA implementation. Listen to the podcast here. The OTN ArchBeat Podcast kicks off the new year with a conversation with three highly experienced SOA experts about strategies for dealing with some of the problems that can thwart SOA efforts within some organizations. One of those strategies involves a new collaborative venture that promises to remove many of the technical hurdles on the path to SOA implementation. Listen to Part 1: A lack of time, experience, and expertise can force some organizations to cut corners when implementing SOA. Meet a group of experts who have an idea for making it easier to get to SOA, right out of the box. 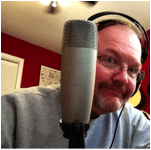 Listen to Part 3 (Jan 22): Can simplifying the technical aspects of SOA implementation provide a workaround to at least some aspects of organizational dysfunction? 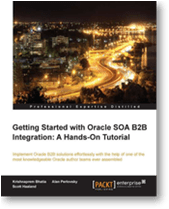 In the latest OTN ArchBeat podcast features a conversation with the authors of Getting Started with Oracle SOA B2B Integration: A Hands-On Tutorial, as they discuss various aspects of the interplay between Oracle B2B and Oracle SOA Suite, evolving integration standards, and more. Alan Perlovsky, Senior Principal Consultant for Fusion Middleware, Service Oriented Architecture, and Integration at Oracle. Scott Haaland, Principal Product Manager, B2B and Apps Integration components of Oracle SOA Suite. Listen to Part 1: A discussion of the basics of Oracle SOA B2B Integration. Listen to Part 2: The authors discuss some of the automation possibilities with Oracle SOA B2B. Listen to Part 3: EDI remains in wide use among old-guard companies, but newer companies are embracing ebXML and other alternatives. The authors look at the evolution of new integration standards. Want to learn more about cloud integration with Oracle SOA Suite and see are real customer example? Attend the SOA, Cloud and Service Technology Symposium in Mexico City December 4th & 5th 2013. If you can not make it to Mexico enjoy & want to see a preview watch the OTN video, Bob recorded with Rolando Carrasco and myself this week.